Trust is not a word I use lightly,however,when it comes to American Automotive, trust is what defines their business. I know for a fact that Mark will tell me exactly what needs to be done and not only will he work on what is required but his mechanics will go above and beyond to verify that the car is not deficient in any other areas. 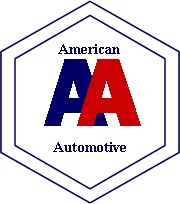 I started taking my vehicles to American Automotive many years ago... I always get exceptional and friendly service. I know that they KNOW cars including the owner who is always on site, I like that. I have no reason to take my cars anywhere else.